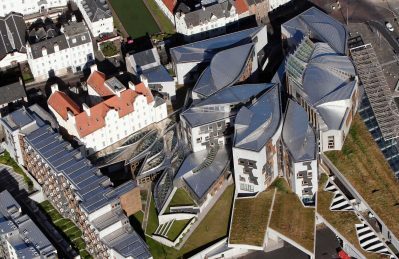 The Scottish Parliament Building is, perhaps, one of the least-known buildings of its kind in the world and a really great project by Enric Miralles. 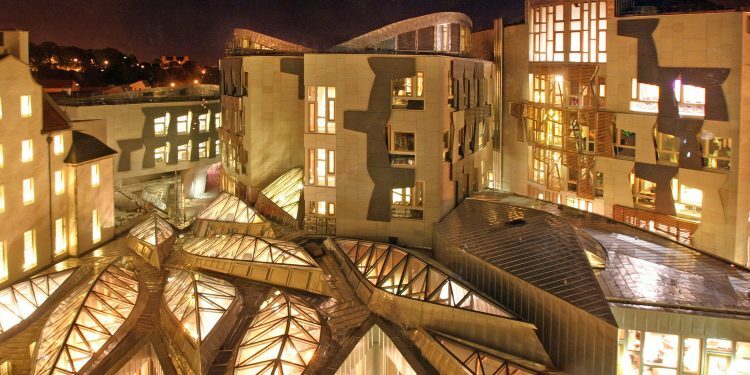 Many see it as a masterpiece, abstract modernism at its best. 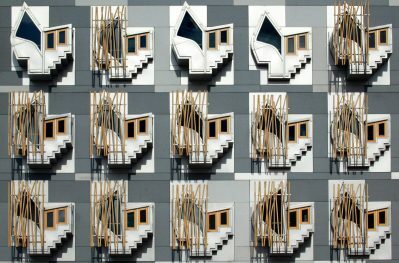 While the public simply saw the parliament building as being really overdue and way too expensive, with commissions received by an architect that was not Scottish, architecture students need to be aware of what was accomplished. This stunning work was initially supposed to be handled by Rafael Vinoly as he won a public vote but the selection committee in charge of the final decision awarded the work to Enric Miralles. 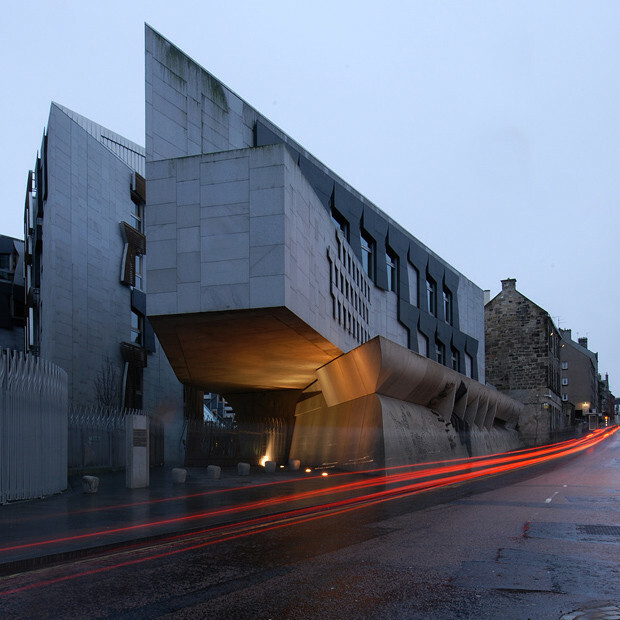 The result was interesting since we are talking about several structures, not just one building. The Scottish Parliament Building is made out of various buildings that are interconnected. This includes a press tower, a restaurant, administrative areas, a dining area and MSPs building. The ground floor is the one that ties the buildings together. 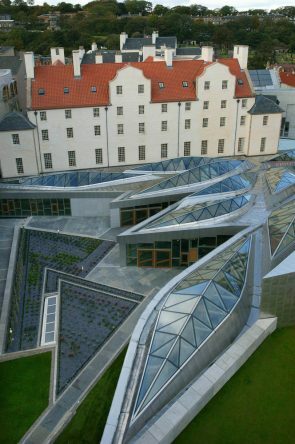 It is sky-lit and offers a continuous circulation option all throughout the site. Architecturally speaking, the Scottish Parliament Building is a full sensory experience. 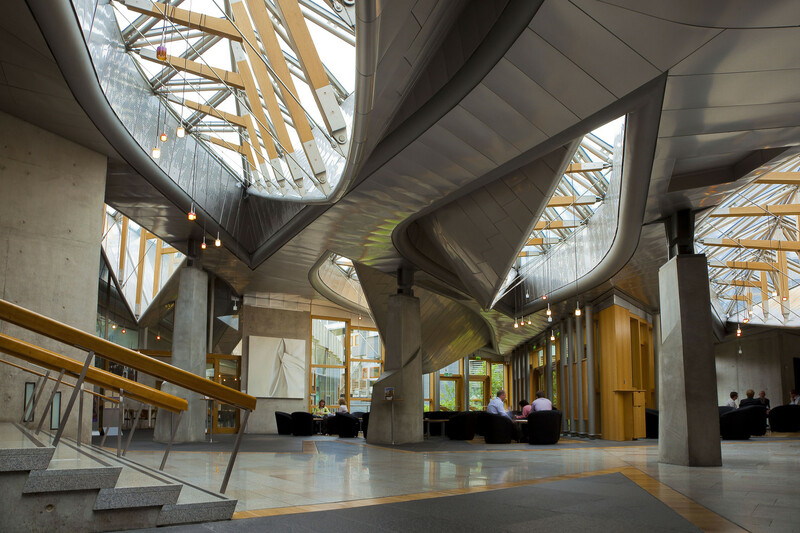 It features complex shapes, numerous materials and unexpected structural devices everywhere you look, as you can see from the images presented below. All features are detailed in an unique fashion, with the use of themes, abstract elements and so much more. 25TH AUGUST 2004. 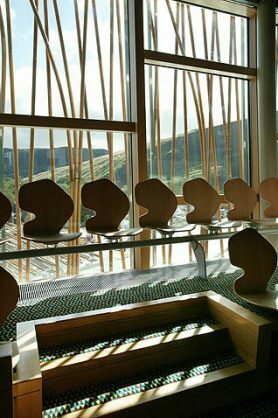 PUBLIC SEATING IN THE GALLERY OF THE DEBATING CHAMBER WITH A VIEW TO SALISBURY CRAGS AT THE NEW SCOTTISH PARLIAMENT AT HOLYROOD, EDINBURGH. 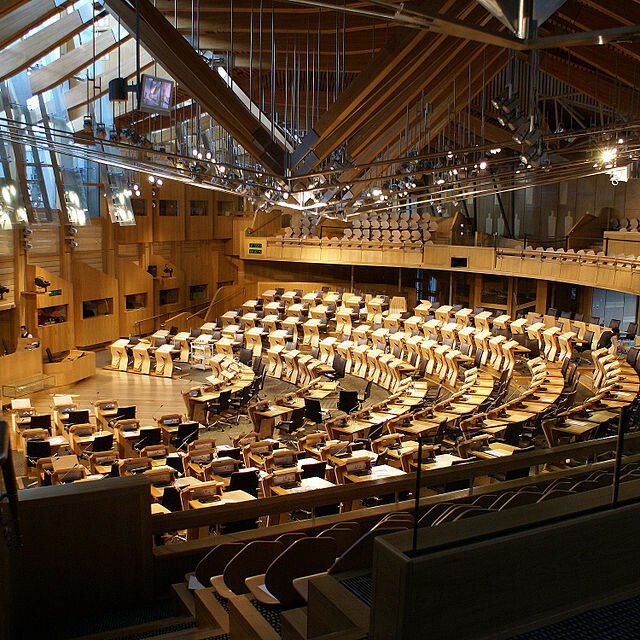 PIC-ADAM ELDER/SCOTTISH PARLIAMENT PHOTOGRAPH(C)2004 SCOTTISH PARLIAMENTARY CORPORATE BODY. 25TH AUGUST 2004. 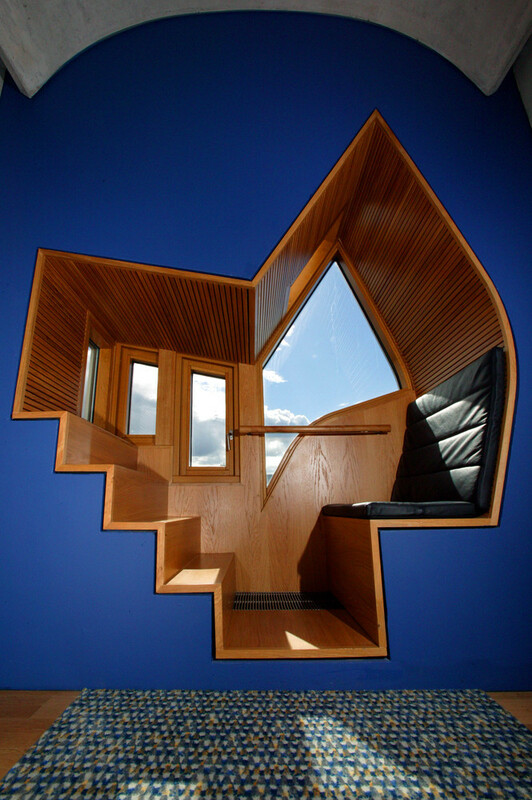 A WINDOW SEAT IN AN MSP OFFICE AT THE NEW SCOTTISH PARLIAMENT AT HOLYROOD, EDINBURGH. 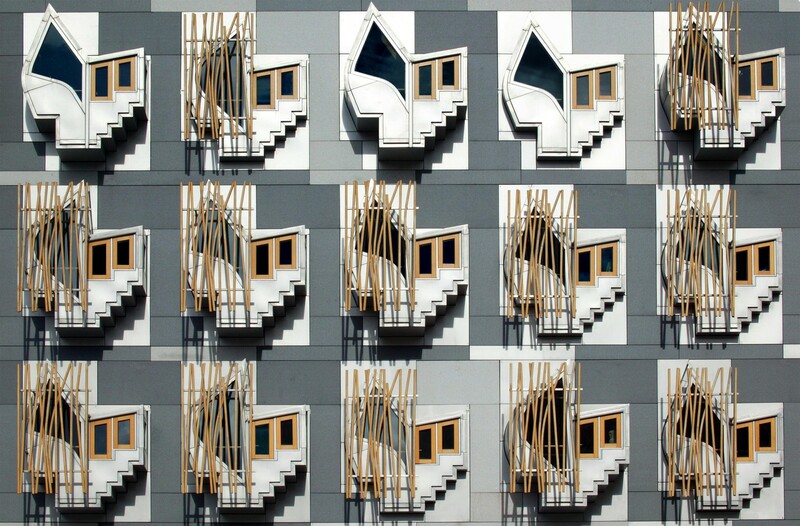 PIC-ADAM ELDER/SCOTTISH PARLIAMENT PHOTOGRAPH(C)2004 SCOTTISH PARLIAMENTARY CORPORATE BODY. 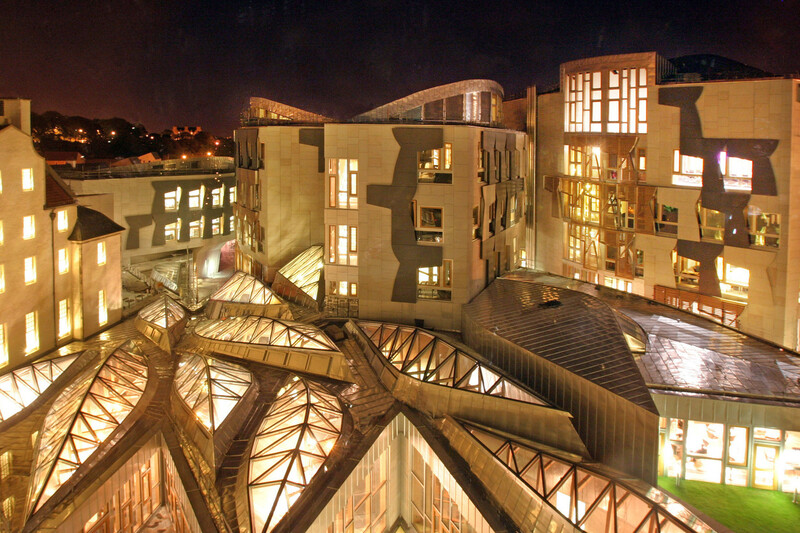 OVERVIEW OF THE GARDEN LOBBY WITH QUEENSBERRY HOUSE IN THE BACKGROUND AT THE SCOTTISH PARLIAMENT COMPLEX EDINBURGH. 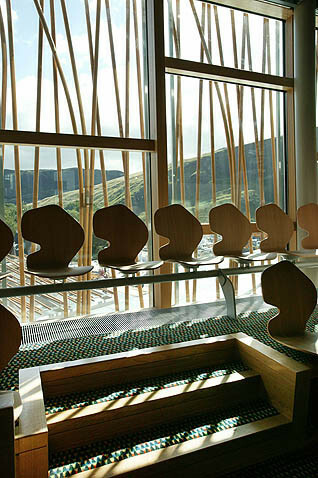 PIC-ADAM ELDER/SCOTTISH PARLIAMENT PHOTOGRAPH (C) 2005 SCOTTISH PARLIAMENTARY CORPORATE BODY. COMPLIMENTARY FIRST USE ONLY.